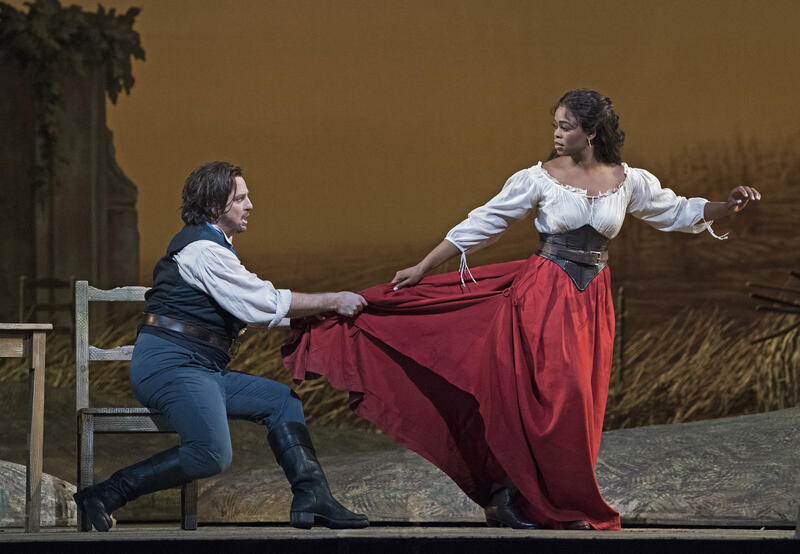 This month, the Metropolitan Opera has two live HD broadcasts in theaters (locally at Wabash Landing 9 - 300 E. State Street, West Lafayette), and are heard on 101.3FM. “Live in HD Ambassadors” volunteer to help build HD audiences throughout the country. Joyce Field is one such volunteer, and spoke with WBAA Music Director John Clare about the operas, experience, and how she became an ambassador. Find out more here. You can listen to the Met Opera on WBAA Classical on 101.3FM Saturday afternoons at 1pm during the season (December to May). Adam Sandler fans know one of his characters, Opera Man who debuted in April 1992. He sang silly lines, and over the next two years appeared in Saturday Night Live newscasts, and even in a stand alone sketch. We’ll hear someone who could easily be called Opera Man in real life, not because of made up arias, but his incredible output of operas, composer Jake Heggie on today’s What’s New. The latest release from soprano Diana Damrau is a dream come true - for her, and for audiences! The all Meyerbeer recording, Grand Opera, combines the Choir and Orchestra of Lyon National Opera with favorites, world premieres, and three languages! Damrau spoke with John Clare about the stunning Erato cd. A new program airs Sunday and Tuesday nights on WBAA Classical: What's New. Host John Clare features new music, new releases, and interesting guests. Hear a special preview of this week's What's New, and let us know what you think. We'll feature the amazing mezzo-soprano Joyce DiDonato, from her very first solo cd to her latest release, In War and Peace.